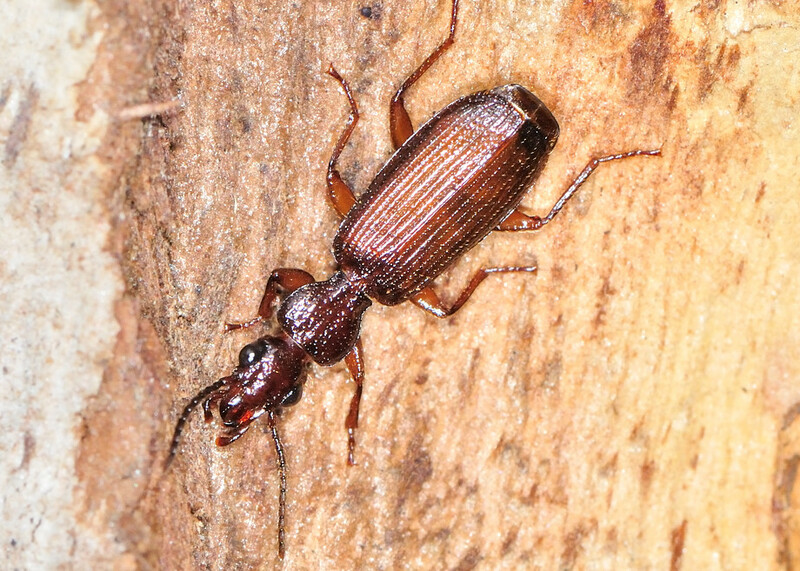 This ground beetle has the body shape looks like a Longicorn Beetle. 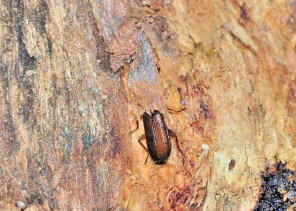 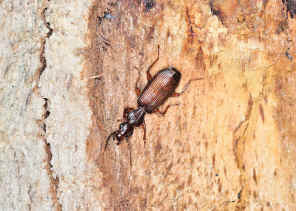 Its body also flattened with Cockroach style legs which are the adoption of living under barks. 1. Terrestrial Invertebrate Status Review (Brisbane City) - Dr John Stanisic, Queensland Museum, 2005, page 69, fig31g.